Here is step by step guide how to activate or register South Indian Bank Internet Banking (net banking) facility online without bank visit. With net banking facility South Indian Bank customers can manage their bank account online. South Indian Bank Limited (SIB) is a major private sector bank headquartered at Thrissur in Kerala, India. It has 852 branches, 4 service branches, 1334+ ATMs across more than 27 states and 3 union territories in India. South Indian Bank provides free net banking and mobile banking facility so customers can access their bank account on PC or mobile. You can transfer money online, view account balance and statement, manage debit card, open FD account and much more. See step by step South Indian net banking online registration process and activate this facility without any bank visit. Before you start, make sure your ATM Debit card is active and have PIN. If your card is new and haven’t PIN then visit any South Indian Bank ATM and generate your PIN. 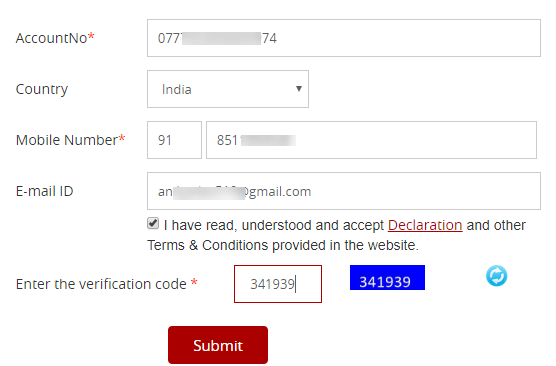 2: On next page, enter your Account Number, registered Mobile number and registered email address and submit. 3: You will receive One Time Password on your register mobile number, enter OTP and submit. That’s it, your net banking registration process is complete. You will receive your Internet Banking User ID within 4 days on your registered email address. After getting your User ID, now you need to complete Net banking activation process using Debit card details. Click on Online Banking tab and here click on New User Activation. 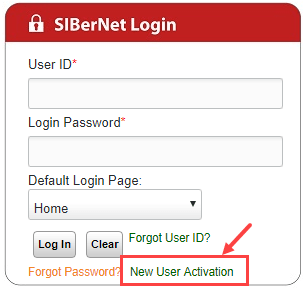 5: At login page, click on New user Activation. 6: Next screen select “Set passwords online using Debit card” & continue. 7: On next page enter your User ID which received on email address and Account number. 8: Now enter your Debit card details like card number, ATM PIN and expiry date and proceed further. 9: Enter One Time Password received on registered mobile number. 10: And in final step, set your login password and transaction password. That’s it. Your South Indian bank net banking is now active and you can login using User ID and login password. You can also change your User ID after 24 hours. 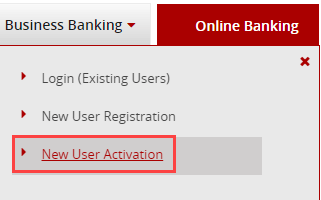 So by following this process South Indian Bank (SIB) customers can register/activate net banking facility online.